Colorado Cable And Satellite TV Installer Insurance. As a cable or satellite television installer, there are certain types of insurance that you're going to have to carry. Most of these insurance types are optional, at least in the sense that they are not required by law, but they are still absolutely vital to this type of business - and required by many of the large companies that hire installers. Inland Marine insurance coverage is a certain type of Colorado cable and satellite TV installer insurance coverage that is intended for businesses that do a great deal of their work mobile. 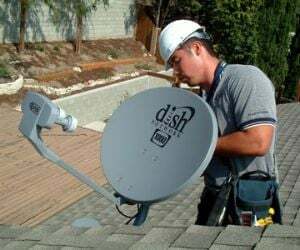 Satellite and television cable installers have to travel to CO customers' homes to install satellite dishes, cable lines, cable boxes and more. Many satellite and television installers work exclusively out of their truck. All of their equipment is located in there as well. Inland Marine coverage covers things like damage to an installer's tools and equipment when they are out doing their job, theft of those tools and equipment and more. Business property insurance is important for companies that have a CO physical location that they do business out of. Property insurance protects companies from things like theft, fire, natural disasters and more. In the case of a cable or TV installer, there may not be much face-to-face time with customers at a physical location, but you are still going to have employees that work at that location including people that set up installer appointments or do customer service, administrative staff and storage of equipment for installers. You are definitely going to need commercial automobile insurance as a CO cable or satellite TV installer. Since you are going to be working out of your vehicle most of the time, commercial auto insurance is required. Business auto insurance protects you the same way that regular car insurance does, but it is specifically designed for people that use a vehicle for their job. 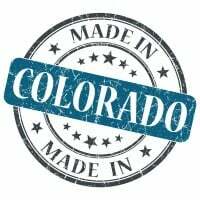 Request a free Colorado Cable And Satellite TV Installer insurance quote in Akron, Alamosa, Arvada, Aspen, Ault, Aurora, Avon, Basalt, Bayfield, Bennett, Berthoud, Boulder, Breckenridge, Brighton, Broomfield, Brush, Buena Vista, Burlington, Carbondale, Castle Pines North, Castle Rock, Cañon City, Cedaredge, Centennial, Center, Cherry Hills Village, Colorado Springs, Columbine Valley, Commerce City, Cortez, Craig, Crested Butte, Cripple Creek, Dacono, Del Norte, Delta, Denver, Durango, Eagle, Eaton, Edgewater, Elizabeth, Englewood, Erie, Estes Park, Evans, Federal Heights, Firestone, Florence, Fort Collins, Fort Lupton, Fort Morgan, Fountain, Fowler, Fraser, Frederick, Frisco, Fruita, Georgetown, Gilcrest, Glendale, Glenwood Springs, Golden, Granby, Grand Junction, Greeley, Greenwood Village, Gunnison, Gypsum, Hayden, Holyoke, Hudson, Idaho Springs, Johnstown, Julesburg, Keenesburg, Kersey, Kremmling, La Junta, La Salle, Lafayette, Lakewood, Lamar, Las Animas, Leadville, Limon, Littleton, Lochbuie, Lone Tree, Longmont, Louisville, Loveland, Lyons, Mancos, Manitou Springs, Mead, Meeker, Milliken, Minturn, Monte Vista, Montrose, Monument, Mountain Village, Nederland, New Castle, Northglenn, Olathe, Orchard City, Ordway, Ouray, Pagosa Springs, Palisade, Palmer Lake, Paonia, Parachute, Parker, Platteville, Pueblo, Rangely, Rifle, Rocky Ford, Salida, Severance, Sheridan, Silt, Silverthorne, Snowmass Village, Springfield, Steamboat Springs, Sterling, Superior, Telluride, Thornton, Trinidad, Vail, Walsenburg, Wellington, Westminster, Wheat Ridge, Windsor, Woodland Park, Wray, Yuma and all other cities in CO - The Centennial State.